Handmade Jewellery, Homeware & More. Note from shop owner Hello, we have just popped off on a little holiday! The shop will reopen on the 1st February 2016! If you have any questions please message me and I will get back to you as soon as possible. Hello, we have just popped off on a little holiday! The shop will reopen on the 1st February 2016! If you have any questions please message me and I will get back to you as soon as possible. Adorable design, it is as pictured. Beautifully done, adorable design. It is as pictured. I have a deep love and fascination for nature, espically woodland animals. I love to doodle and apply these doodles to illustrations, with a sprinkle of imagination to a range of usable ceramics, jewellery and homeware. 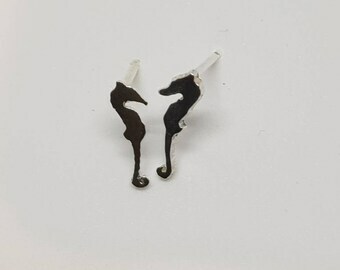 I make a range of tiny hand sawn animal earrings! I want each piece to be a wonderful piece of mini artwork, a piece of my soul. Every item is designed and sawn by my fair hand. No castings or mouldings each item is completely unique, and I hope you can see the love to shine through each piece. Lovely Deer was created from just wanting to do something that I loved everyday, but that would allow me to expand into different products. I love making things and using every material I can get my hands on! I love making and designing jewellery and creating fun home ware products. I am based in England and love supporting local independent suppliers. I entered the wrong address on my order! HELP! We are happy to work with you to customise your order. All of our jewellery is 100% nickel free and hypoallergenic earrings. If something has sold out, can you make another? Minimum purchase for wholesale discount is 20 pieces. If you would like to know more about the details, please message us or send us a "convo"! My jewellery looks different from the picture. All jewellery is handmade and finished by me, in my little workshop. Your piece may vary slightly to the one pictured. Making every piece completely unique.